When you first think of spring break, you might think of flip flops, sunshine, and sand. When I first think of spring break, I think of mountains and whether or not I’ll need snow pants. I still think of sunshine though because it’s sunny a lot in Colorado. I’ve spent my past two spring breaks there visiting my boyfriend at the University of Colorado Boulder (CU). 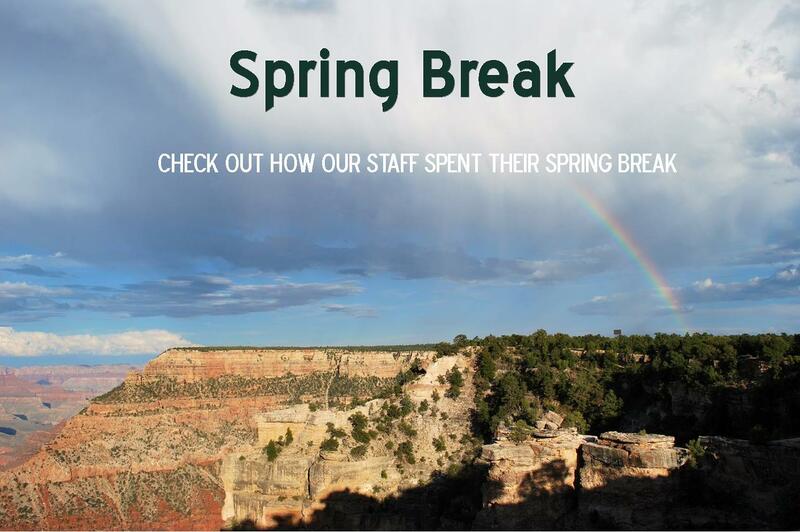 I’ll spend this spring break there too. One of my favorite things to do in Colorado, apart from skiing, is hiking. The University of Colorado Boulder sits at the foot of the Flatirons – a beautiful expanse of rock formations that make for a pretty amazing backdrop. Chautauqua Park is the gateway to the Flatirons. I’ve hiked several of its mountain trails, and each and every time the view from the top is unreal. When you look ahead, you can see for miles over the flat landscape that stretches east, and the beautiful red brick buildings of CU are tiny specs below. When you look behind, waves and waves of Rocky Mountains stretch westward toward the Pacific Ocean. Another reason I love hiking is the dogs. I’ve seen dogs of every shape, size, color, and breed on the Chautauqua Park trails. Often I wonder how the tiny dogs easily make the climb while I’m huffing and puffing up the rugged incline. They are so well trained, these dogs, that they don’t wear leashes and dutifully stay by their owners’ sides. One of my dreams is to hike the Chautauqua Park trails with my own dog someday. Besides hiking, the town of Boulder offers a great cultural experience unique from any other I’ve ever encountered. A mix of surfer dudes and tree huggers, the vibe in Boulder is really fun. Pearl Street is a great place to visit for the food and the street performers. It’s got bison burgers, rocky mountain oysters, and you might even spot a street performer trying to fit him or herself through a toilet seat. If you’re looking for an uncommon locale for spring break, definitely consider Colorado. Whether you go hiking in Boulder or skiing in Vail, you don’t have to sacrifice staying physically active while on break. Ditch the beach and bikinis for the mountains and hiking boots. You don’t even have to sacrifice the sun. Previous PostCut the Sugar: 10 Tips to Reduce Your Sugar ConsumptionNext PostVeggies for Breakfast?